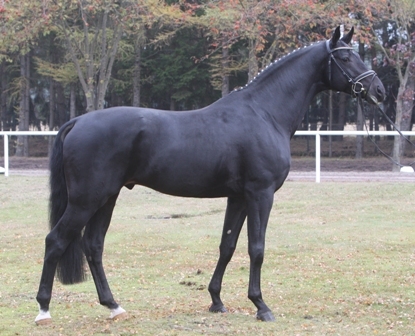 Heinrich Heine was one of the most important German poets, and he provided inspiration for the name of this elegant and shiny black stallion. As the poet was susceptible to beauty, he would have loved this attractive and appealing stallion. Equipped with a big-framed and perfect riding horse conformation, Heinrich Heine was one of the best stallions of the stallion performance test in 2009. His self-carried uphill going canter and his always regulated walk with good overstep give him his signature, just like his above-average rideability. 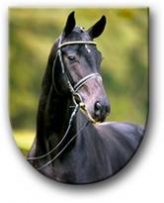 His half brother Delatio was competitor at the Final of the Federal Championships, and in the meantime, he is a successful dressage horse in the United States.